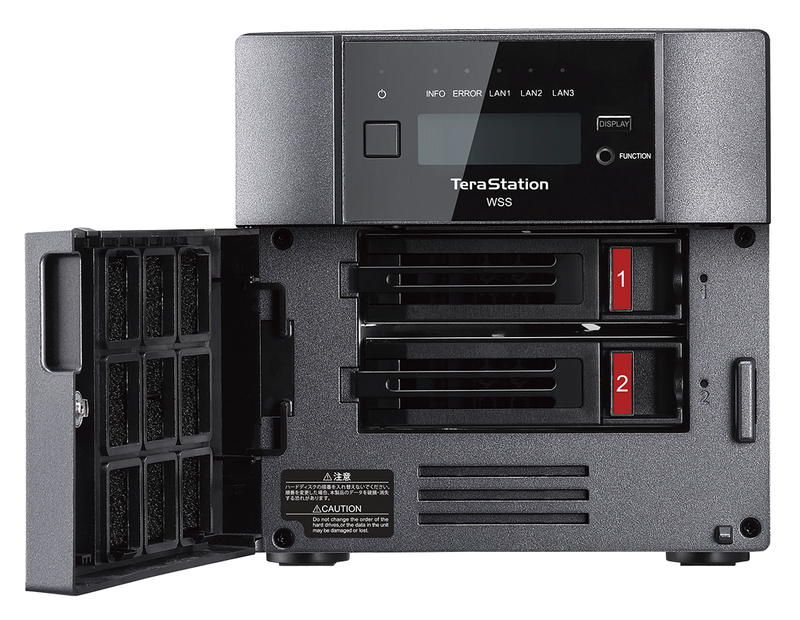 TeraStation WS5020 is a reliable Network Attached Storage solution integrated with Windows Storage Server 2016 (pre-tested NAS-grade hard drives included). 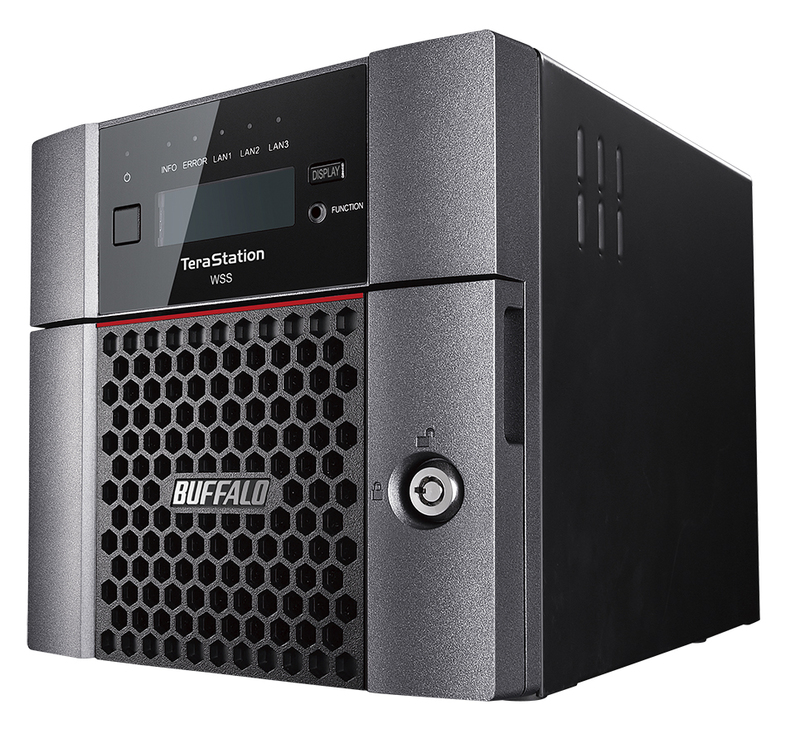 This specialized operating system helps simple deployment and management of your growing storage demands as it integrate seamlessly with your existing Windows based environment. 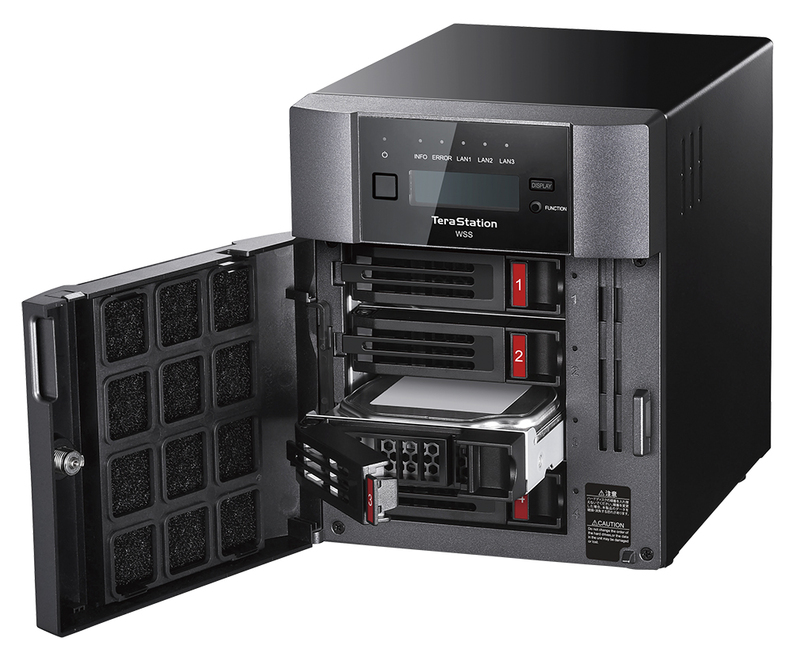 WS5020 is an ideal solution for consolidating multiple file servers into a single solution that enables cost reduction and lowering of the overhead on your existing servers for other workloads. 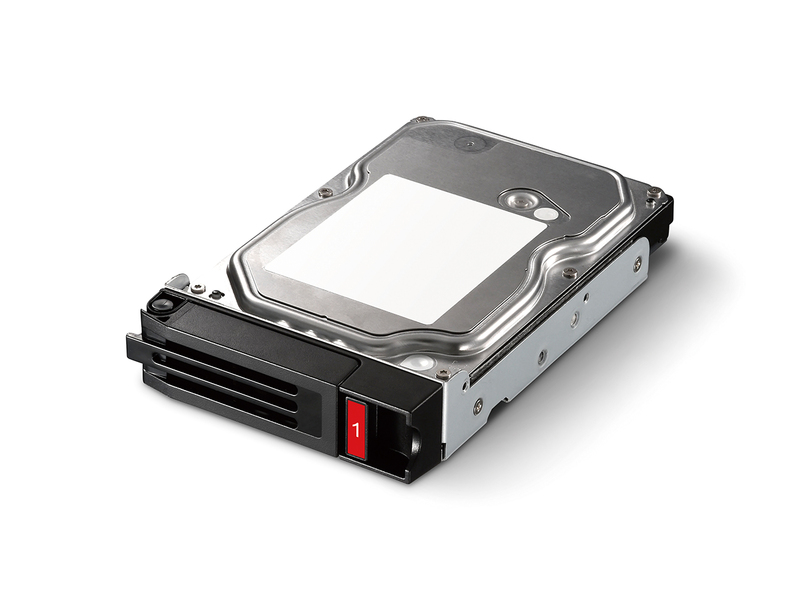 While having a growth in data and file sizes, you can now benefit greatly from lower-costing 10GbE products. 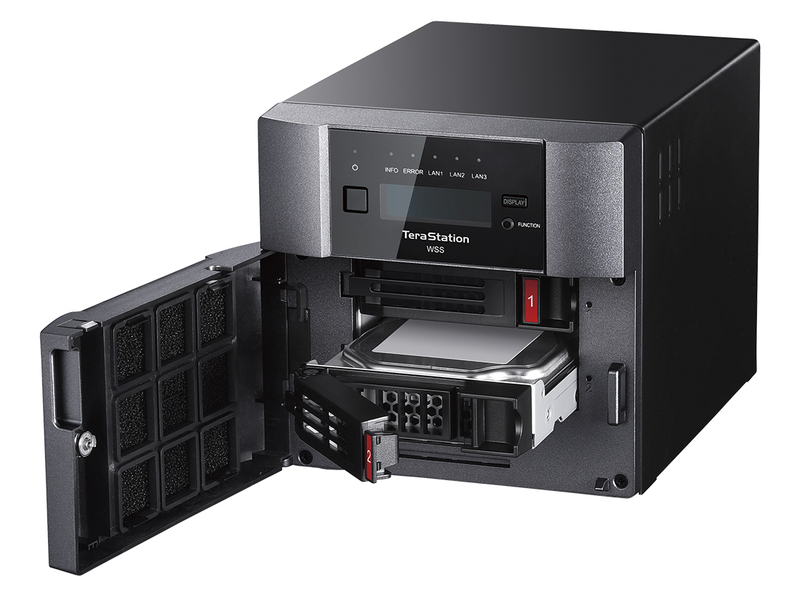 10GbE-compatible devices and category 6A (Cat 6a) or higher rated cables allow improvements to office productivity by eliminating network bottlenecks and shortening data backup times. No 6A cabling in your office? No problem! 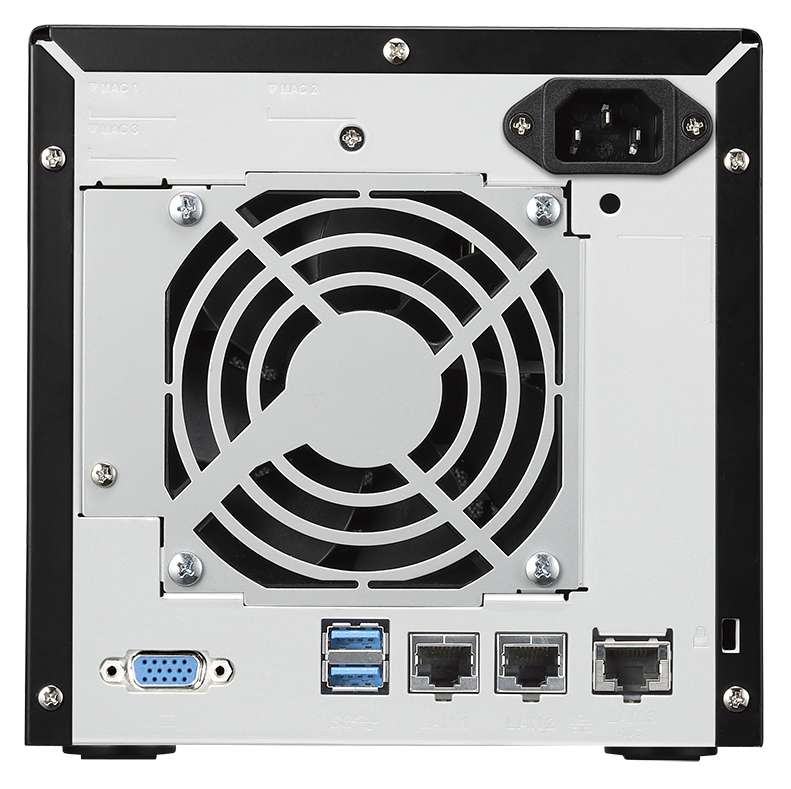 WS5020 is compatible with IEEE802.3bz and it gives you faster data transfer speeds even with your CAT 5e environment. 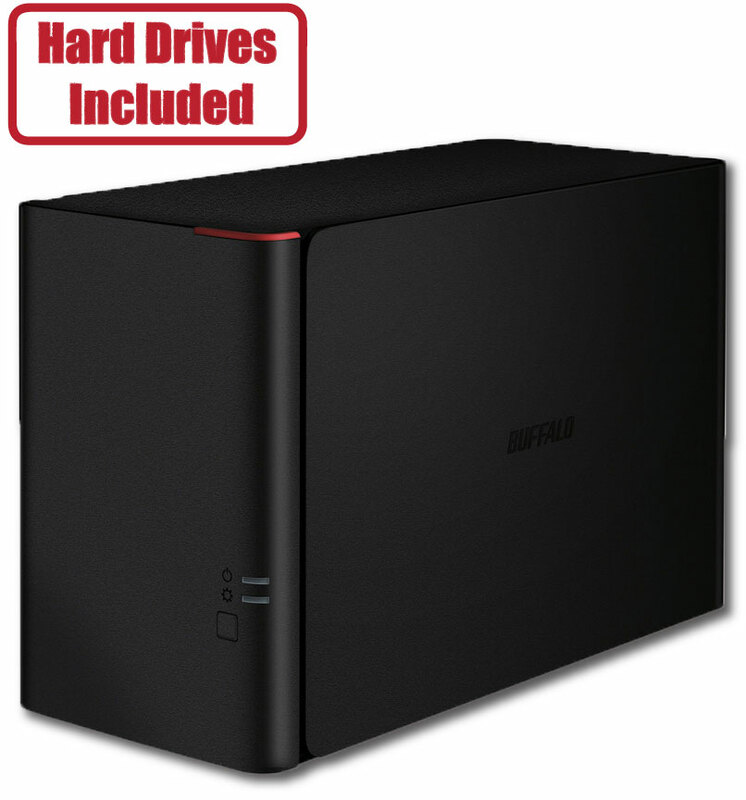 Install Anti-Virus software ("TrendMicro Virus Buster XG“, Trend Micro Co., Ltd.) to NAS. 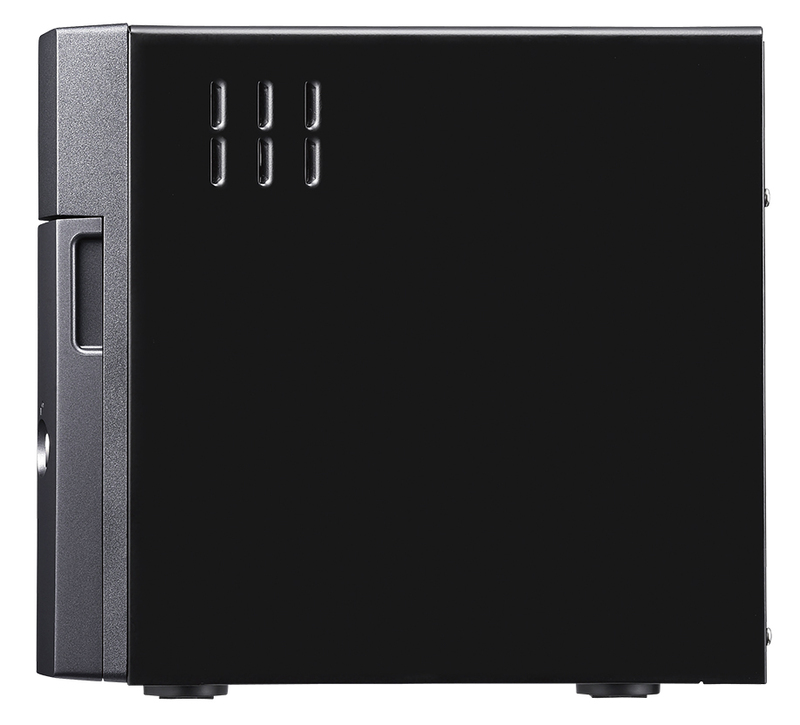 While running Virus check on the NAS, copy 4 GB of data from the NAS to 10 PCs on the LAN. Measure the time until all 10 PCs complete the data download. 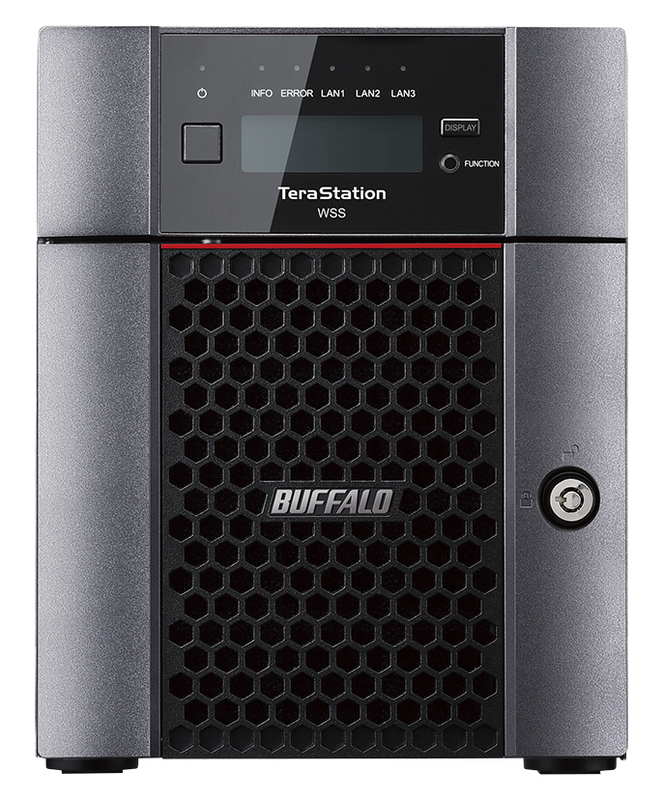 Your data is secure with our small business purpose build TeraStation, designed for 24/7 operation. 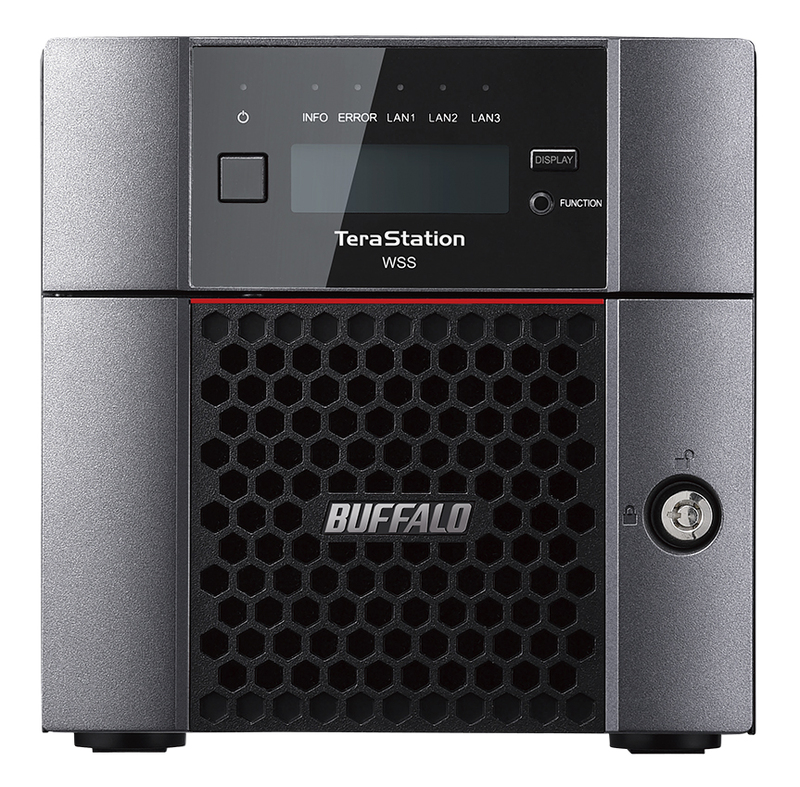 Buffalo Terastation WS5020 is built in Japan and passes severe burn-in testing with NAS-grade hard drives included, thus ensuring compatibility and reliability. 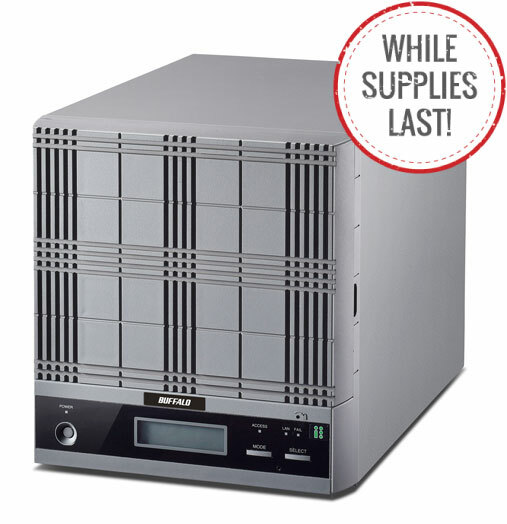 The device comes with free 3-year warranty and 24/7 North America-based support. If problems arise, just one call to our premium phone support desk and we will work tirelessly to resolve your issue. 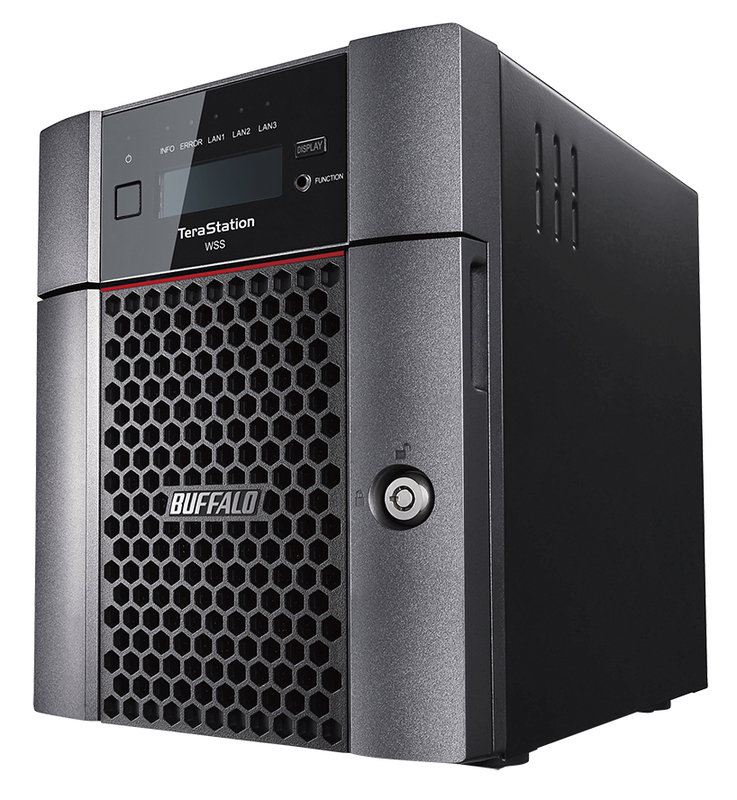 The WS5020 series run the Windows Storage Server OS, which is optimized for the data backup and file sharing. 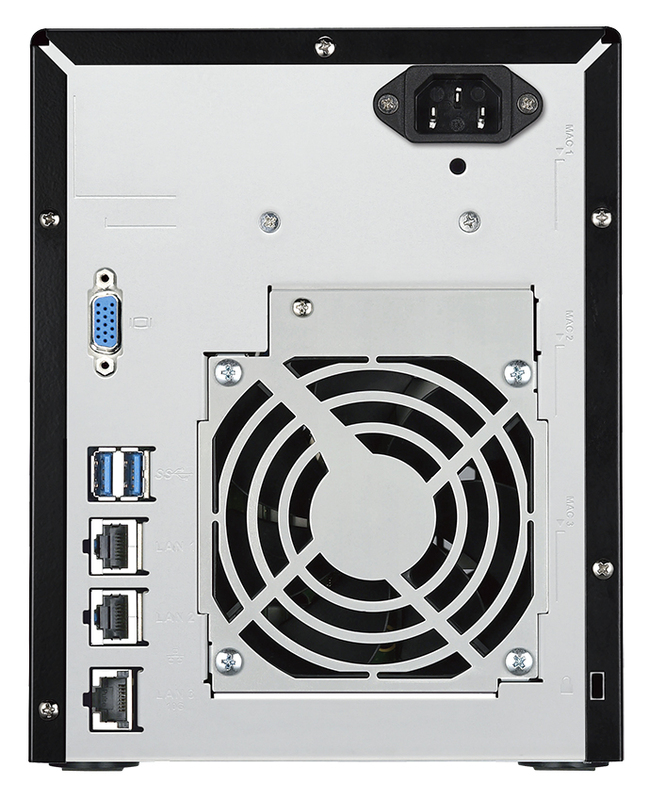 Optimal performance with 60 simultaneous client PCs and access for 24 hours. 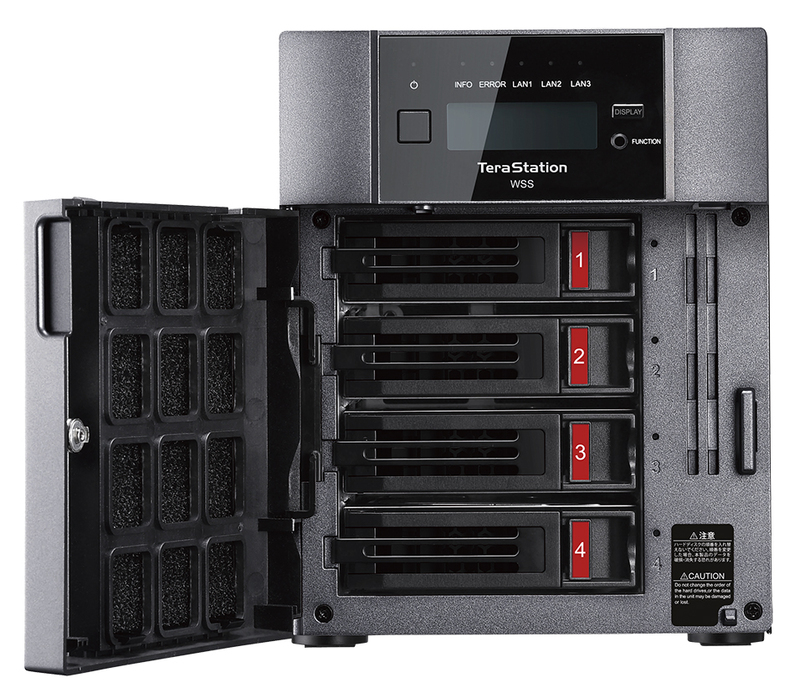 The NAS hardware is built with business-class components to provide stable 24/7 operation, including server-class 8GB ECC memory to stabilize the performance.